No ascension is like the others! Do not compare, understand and implement the conditions of ascension and then await how this will happen in your case. Expectations and exact concepts about this event only block you and block the spiritual worlds of light that accompany you, while you are gliding into the light. Every man gets his “tailor-made suit of light”, and each suit has its specific features, which are important for each man who strides into the light and before he could touch the hem of God. There is still time to get rid of many ideas that have grown up around your ascension. And in the meantime, all the ways are being prepared and all portals – opened, so that you can safely and happily return to your families who wait for you beyond the veil. The “city of love” is awaiting you, who has a unique light dress, a unique force field interwoven with crystalline energy, you, who will be recognized by your light strings that identify you as one of the “old days”. You will be honoured, now that all ascension processes have reached their global accomplishment and have been adapted tailor-made to the individual circumstances. What is a “must” for somebody, is dispensable for others. 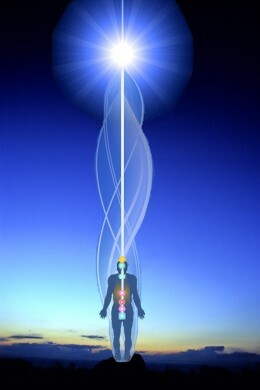 All ascending humans have one thing in common: A purified and clarified “basic energy field”, with which this miracle can only be accomplished. You should no longer block yourselves with questions such as: “How will it be, when will it come and what do I still need to know” You should only ask, “Am I free or am I still a slave of my wrong programming to certain things, in certain situations or with certain people?” This is the only valid question these days, and in the sincere answer to this lies your happiness and blissful ascension to the fifth dimensional level of Being. All of you, who have chosen the light with your entire heart, will now complete this path, each one in his tailor-made “ascension version and ascension vision”, for verily: As soon as the environment for ascension is created – which, in fact, is already accomplished – it happens in a manifold manner. remain true to yourself, remain faithful to your decisions and adapt your thinking, your language and your actions to your orders from the Being – NOW. For verily: You can not serve two masters.